A popular chainsaw training course for those wanting to learn about chainsaws for the first time or experienced users wanting to formalise their existing knowledge. This course leads to the City & Guilds NPTC qualification which is the gateway to the entire suite of chainsaw units. Identify faults and defects on a chainsaw and cutting equipment and decide which the operator can remedy and which require a service engineer’s attention. Prepare the chainsaw for use with the correct fuel/oil mix and saw chain lubrication. Reasonable level of fitness and desire to learn! First Aid training is also an essential part of your preparation to use chainsaws, so please look into this if you do not currently hold a relevant qualification. We often get asked 'Do I have to do a First Aid course?' In response to that question, we like to ask - are you confident that you know what to do it you have an accident at work? A catastrophic bleed? Take our First Aid challenge and see. HSE - Chainsaws at work - this publication covers a number of points to think about when using a chainsaw at work. We have a full range of hire PPE (Person Protective Equipment), Chainsaws, maintenance tools and small felling tools if required, and links with local suppliers to help you get the right kit at the best price. Please let us know at the time of booking if you would like to hire any kit. Our chainsaw training courses are held at our site in Lamberhurst, where we have a heated workshop and plenty of tree for practice. What did other people think about this course? "Informative and challenging chainsaw training. I came away having learnt a great deal, while enjoying the experience." 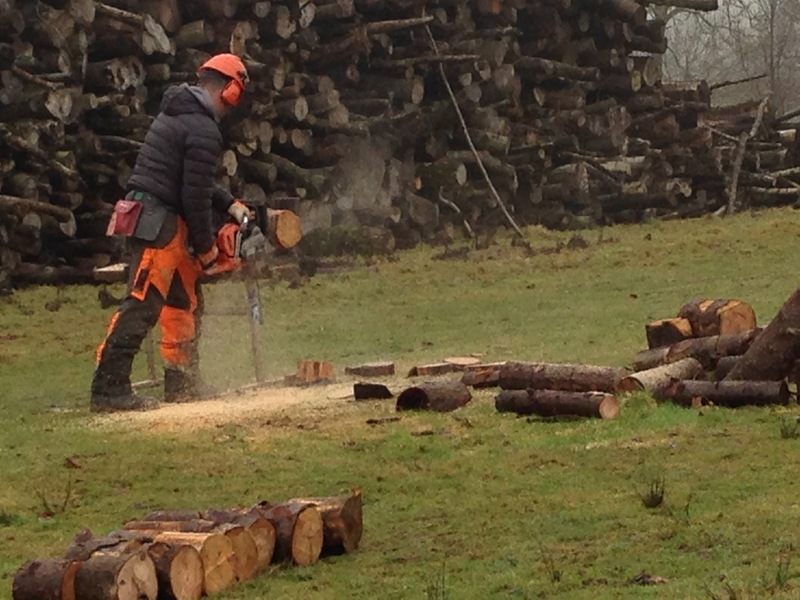 "This course made me realise how little I did actually know about chainsaws!" "National Conservation Charity Trainer, Sussex "Clear & concise demos. Motivating. Great practical and hands on chainsaw training." "Local agricultural contractor. "As I have never used a chainsaw before I found the practical difficult to start with but after tuition felt very comfortable in its use. Good ratio of theory and practical. Useful, busy, interesting and varied - Thanks. From no experience to confident to use chainsaw." Chainsaw Drive Sprockets & Bell Housings - What can go Wrong? Read more about Chainsaw Drive Sprockets & Bell Housings - What can go Wrong? Chainsaw Chain Oiling - what can go wrong? First Aid Course - Is It Needed? Read more about First Aid Course - Is It Needed?